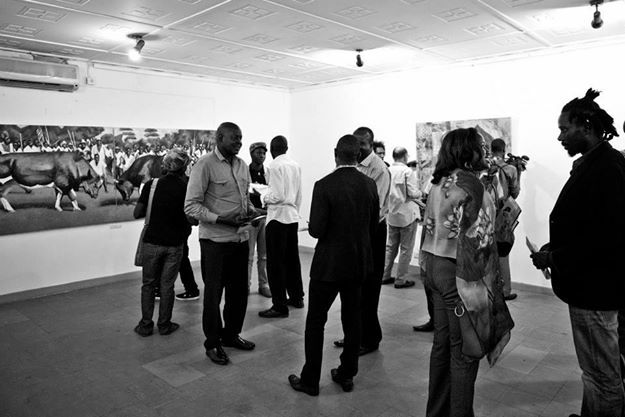 The first edition of the Biennale was launched in 2014, established by the Kampala Art Trust, and founded by Daudi Karungi. Progressive Africa is a theme derived from the current Pan African – and increasingly global discussion of AFRICA IS NOW versus AFRICA IS THE FUTURE. Today in Africa, you will come across divergent conversations between different kinds of people; African with African, African with European, Indian with American, all talking about the status of Africa in the global village. Some will say Europe and the rest of the world are moving to Africa for opportunities while others will say African economies are growing into Global markets. In these conversations there is talk about which strategies are the best to accelerate Africa’s progress towards fulfilling the millennium development goals (MDGS) such as curbing poverty, improving formal education. There are even those who express doubt whether this education is important at all. There is increased concern from the west about increased Chinese investment on the continent. The growing urbanization of African populations fuelled by the increased entrepreneurial shift into the service industry is also an issue of note. All these vibrations suggest one thing; that something is happening on the African continent whether right now as it moves into the future. 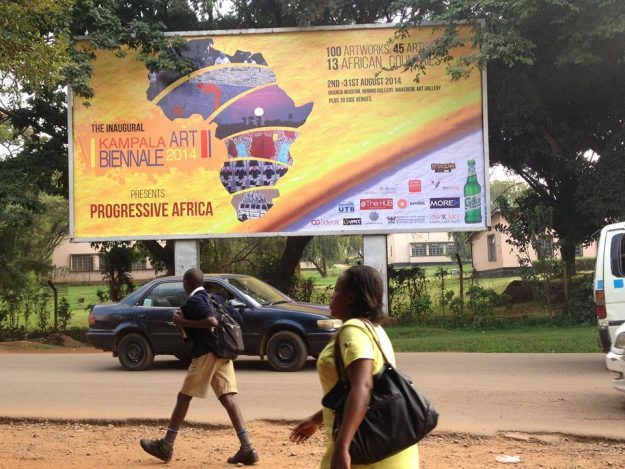 The Kampala Art Biennale 2014 is part of this discussion under the theme PROGRESSIVE AFRICA. It is calling on African painters, photographers, illustrators, cartoonists, writers and all 2D media artists to present their perception of the current status of Africa through visual art. The verdict will result in over 100 images pro or against the purported progress, with viewers and visitors joining in on the discussion with the help of the visual aids. We believe that this will result in questioning of African political, social and economic practices. 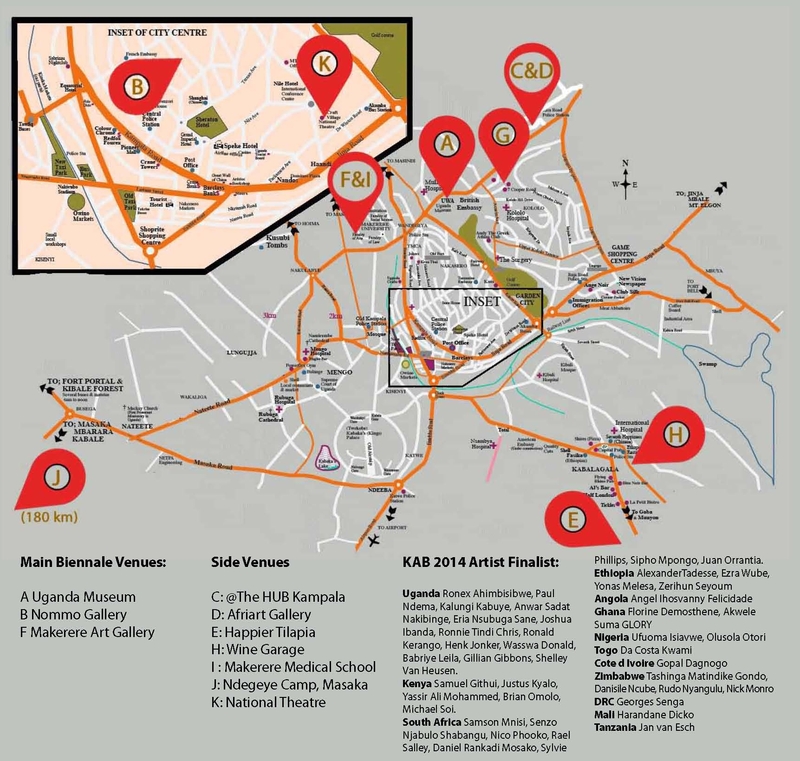 The Kampala Art Biennale 2014 is set to serve as a conduit through which to start a debate that we so desperately need right now about a modern and progressive Africa starting right here in Kampala. There is a need to generate discussions centered on looking beyond aid to the financial resources Africa needs to enable transformative growth. Raphael Chikukwa is born in Zimbabwe and worked mainly as an independent curator for the past ten years before joining the National Gallery of Zimbabwe mid 2010 as it’s Chief Curator. He is currently the Zimbabwe Pavilion curator for the 55th Venice Biennale. 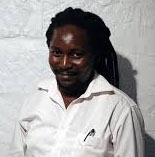 Chikukwa is the founder and 1st Zimbabwe Pavilion curator at the 54th Venice Biennale 2011. After taking Zimbabwe to Venice in 2011, Chikukwa has taken part in a number of Forums that include, Re Zimbabwe Pavilion talk at INIVA (London) 1st World Biennale Forum in South Korea, KLA ART 2012 (Uganda). 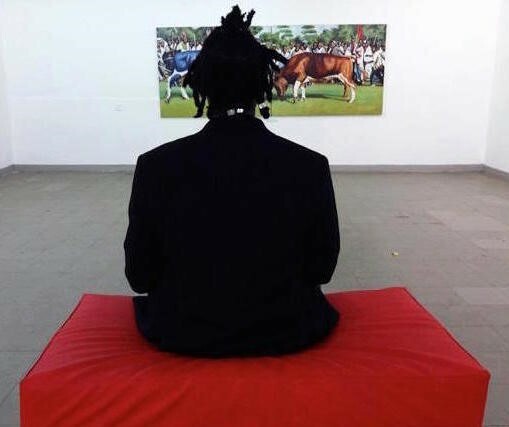 His qualifications and international experience earned this position at the national institution, which he hopes to change the visual arts landscape of Zimbabwe. Chikukwa was awarded the 2006 – 2007 Chevening Scholar now holds an MA Curating Contemporary Design from Kingston University London. 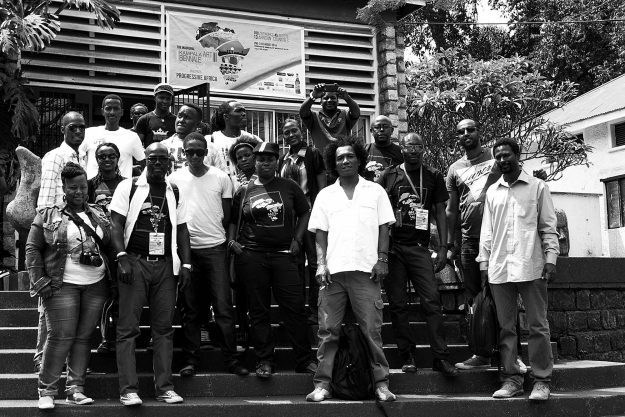 Chikukwa is a founding staff member of the PUMA funded Creative Africa Network as an editor and advisor of the project from 2008 – 2009. 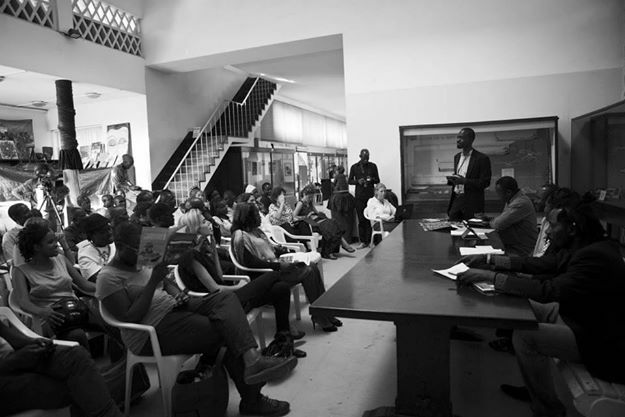 Recently he was among seven Curators from Africa attending the Tate Modern Symposium “Curating Africa where he presented a paper on his curatorial practice. 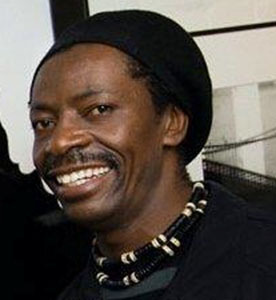 Jimmy Ogonga is the founder of Nairobi Arts Trust, Centre for Contemporary Art East Africa (CCAEA). CCAEA is an organisation that serves as an advocate for contemporary art and as a catalyst for the creation of significant art projects. Jimmy Ogonga is also a multi-media artist of international caliber. Ogonga taught himself fine arts by drawing portraits. 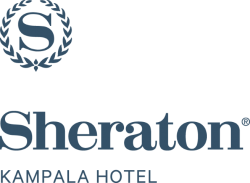 Often his subjects were political figures whose stories and activities were exposed to him while growing up in East Africa. One of his missions is recreating African heroes through art. He has traveled to many countries exhibiting in Africa, North America and European art galleries. Bandile Gumbi is a KwaZulu Natal raised creative writer and artist. Since 2000 she has performed in Durban, Johannesburg and Cape Town, mainly at poetry clubs and art exhibitions. She is a founding member of 3rd Eye Vision, an artist-administrated interdisciplinary arts organisation based in Durban. She has also collaborated with visual artists and participated in interdisciplinary arts workshops and exhibitions in Cape Town through Thupelo Workshops organised by Greatmore Studios. Her poetry has appeared in magazines and journals in South Africa ; the established feminist journal Agenda has published her prose and short fiction. She performs and exhibit poetry by fusing different art disciplines as she believes that all arts come from the same creative source. 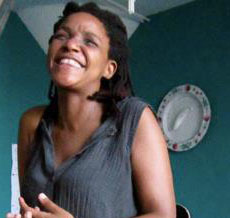 Bandile has self-published a poetry book titled ‘ Pangs of Initiation’ in 2004 and is working on her second poetry book. She is currently pursuing a PHD in African Studies at the University of Cape Town with a focus on African art periodicals. Chuu Krydz Ikwuemesi is a painter, art critic, ethno-aesthetician and cultural entrepreneur who studied art at University of Nigeria, Nsukka, graduating in first class in 1992. 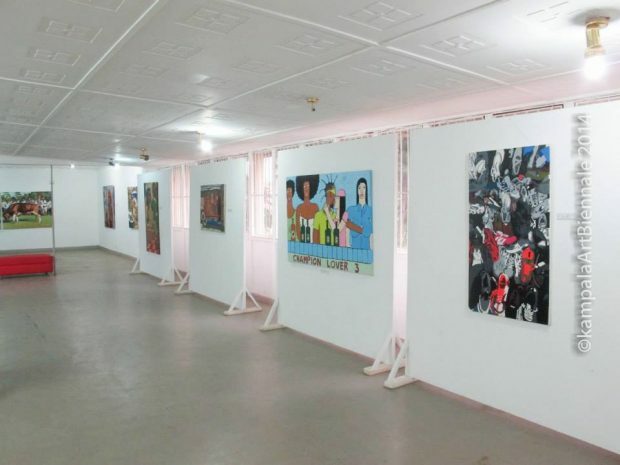 He is the founder of the Pan-African Circle of Artists (PACA) and Emeritus President of The Art Republic (also known as Centre for Arts and Cultural Democracy), Enugu. He has participated in workshops and creative residencies and has directed Afrika Heritage (the PACA Biennale), Overcoming Maps (PACA Study Tour of Africa), and the Mmanwu Theatre in Enugu. 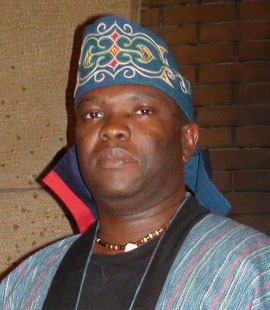 Ikwuemesi has researched and published on aspects of Igbo arts and is presently engaged in a comparative study of Igbo and Ainu arts and cultures. He is the editor of two major journals: The Art Republic and Letter from Afrika. He is an Associate Professor in the Department of Fine and Applied Arts, University of Nigeria, Nsukka, and was recently a Visiting Professor at the National Museum of Ethnology, Osaka, Japan. He has been a Fellow of the American Council of Learned Societies African Humanities Program and is the coordinator of the Death Studies Association of Nigeria. A committed artist, he has held several solo and group exhibitions and has published many articles on art in professional journals. The Jury made selection of 100 works that were shown at the Biennale. The awards ceremony took place during the closing of the Exhibition on August 31st 2014. 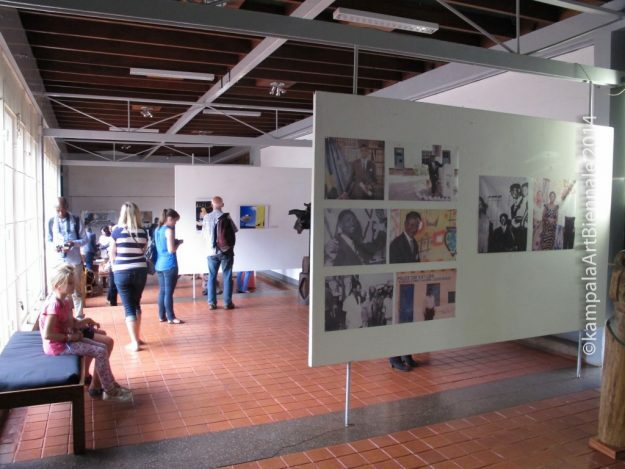 Traditional art venues – for their significance in promoting and exhibiting art in Uganda (Nommo gallery, Uganda Museum, Makerere Art Gallery). 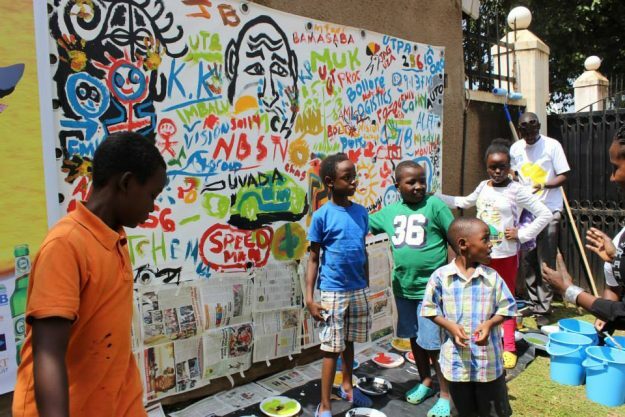 Kampala art biennale 2014 partnered with other art and cultural organizations to run a series of side events. These included: the Biennale launch and panel discussion to discuss the relationship between art and tourism and to provide recommendations for collaborative strategies, a meet and greet bbq with the artist at Nommo gallery, Wazo talking arts sessions, a movie night and presentation about Art & Human Centered Design, off exhibitions and art talks at various galleries, workshops on art and entrepreneurship, an art camp at Weaverbird, an interactive art installation at the Uganda Museum by RO, and Ekyoto, a gathering of artist and artlovers talk and music around the campfire, to name but a few.